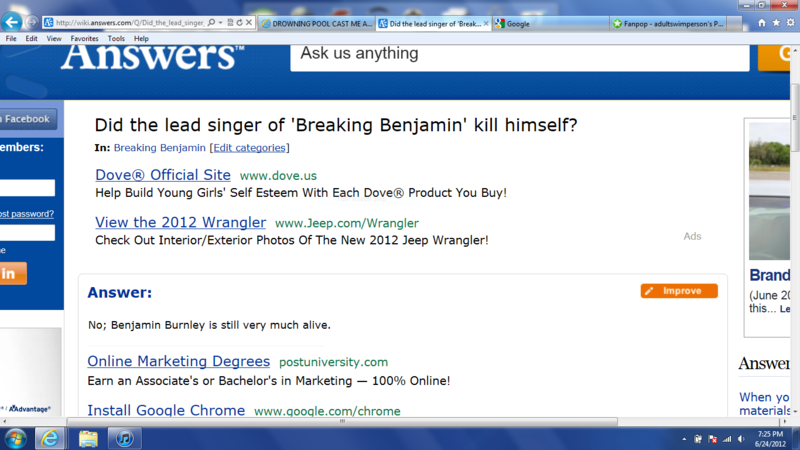 Another frequently stupid question asked on wiki answers.com.XD. This person had asked if the lead singer of the band Breaking Benjamin (Ben Burnley) had killed himself, I'm sure his death would've been televised around the world.. HD Wallpaper and background images in the fanpop FAIL! 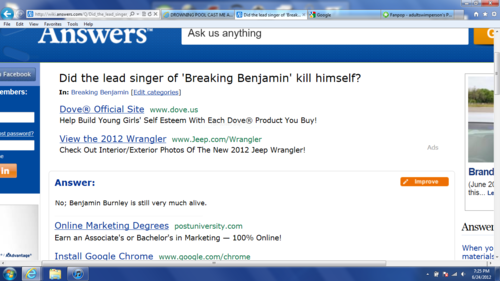 club tagged: stupid lame wiki answers facepalm fanpop fail.